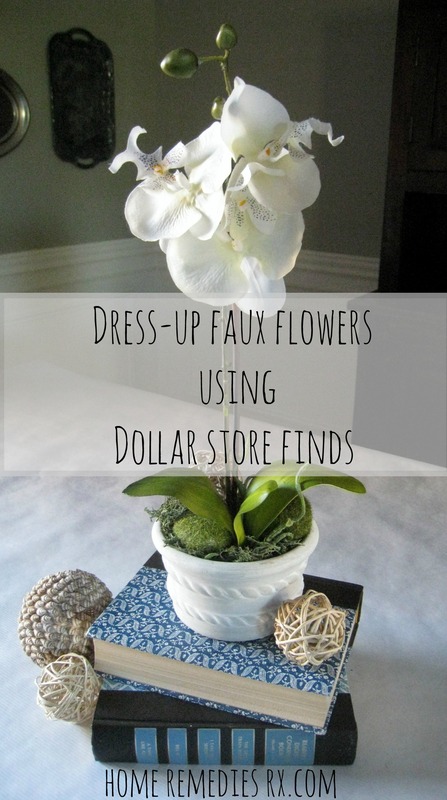 After finishing my last project, dressing up faux flower arrangements with Dollar Store finds, I did a little Google search to see what other people have done using items that can be purchased from the Dollar Store. 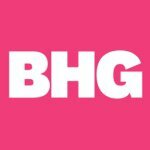 I was pretty amazed by how much creativity is out there in blogland and I put together a list of 10 DIY Dollar Store Projects to share some of those finds with you today. 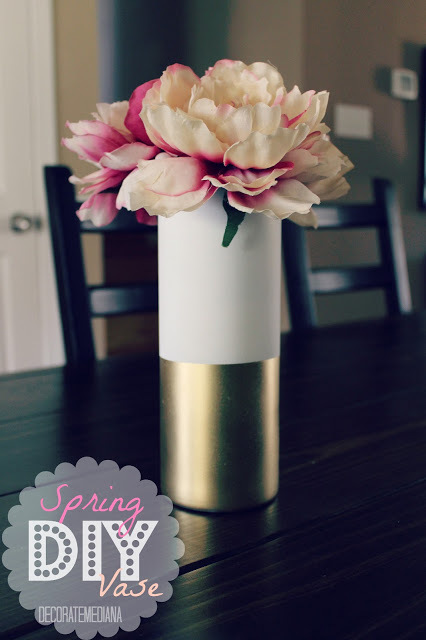 First up is this lovely Spring vase that Diana at Down Oxford Steet created using vases she found at the Dollar Store. Pop over to her blog to learn how to make some for yourself using Diana’s tutorial. 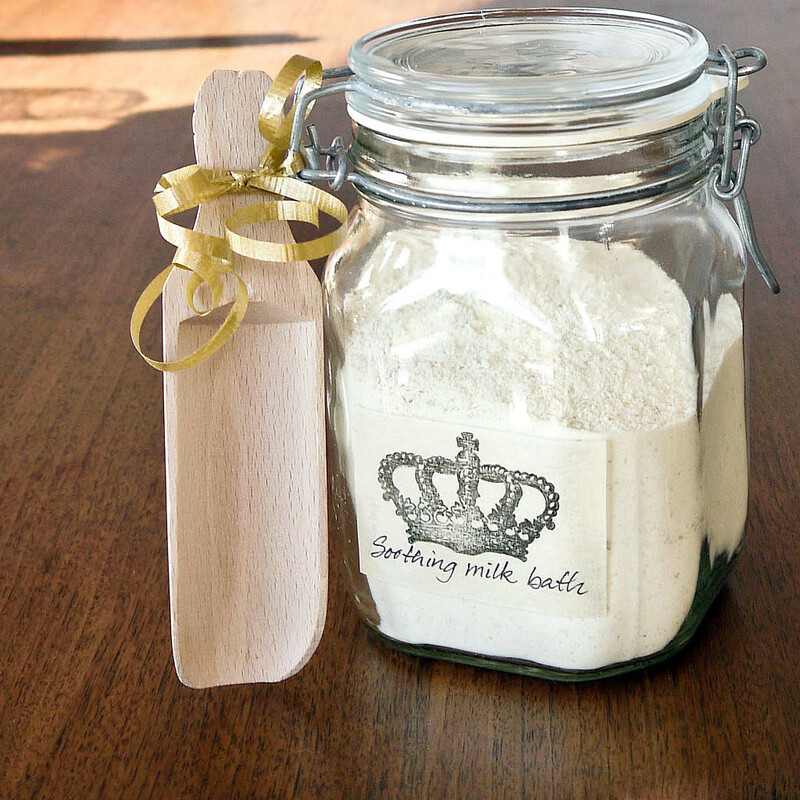 Next is this fun bath scrub made by Sarah over at Pop Sugar. Not only do I think this would make a great gift to give, it would be an even better one to receive! Lilybee at Curbly has an awesome tutorial for this doormat, made with supplies from the Dollar Store. 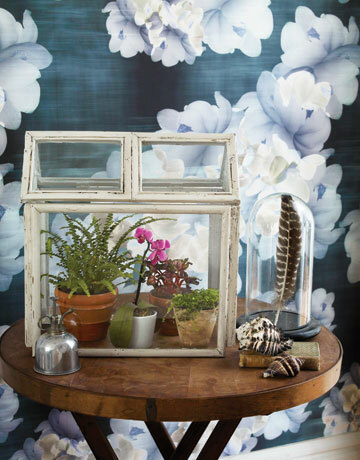 This gorgeous terrarium was made out of frames like those found at our favorite store! Isn’t it lovely? 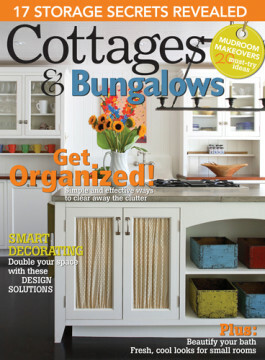 Check it out at Country Living. 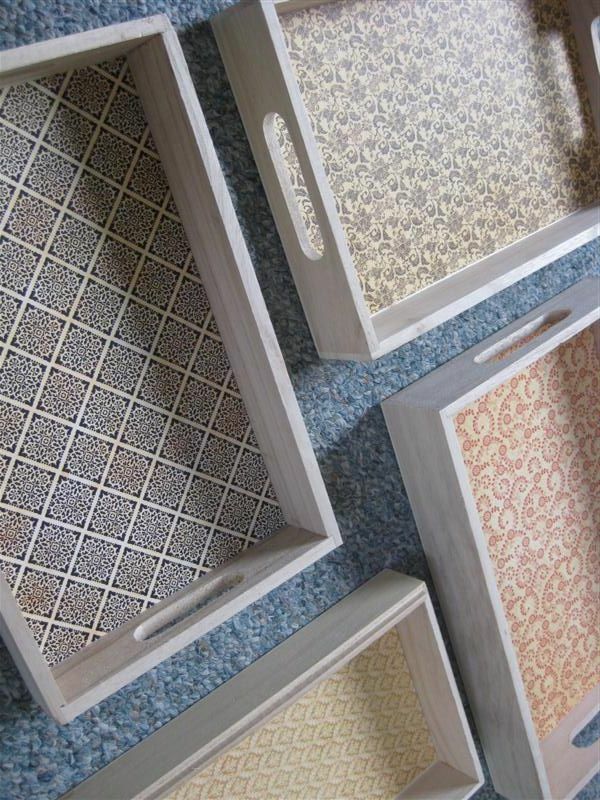 I found these adorable decorative trays at Scrapscene. I can think of several walls in my house that could use this pretty pop of color! Check out these festive Fall candles made by Bobbie at the Clumsy Crafter. 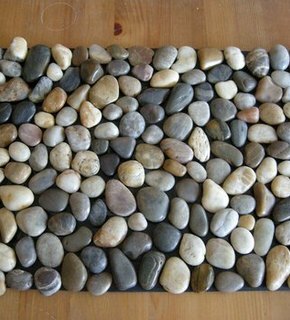 I could see a row of these lining a mantle. 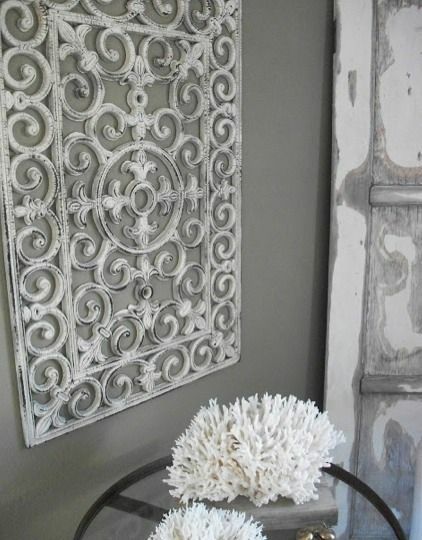 I can’t believe this metal-look wall decor is made from a rubber door mat! 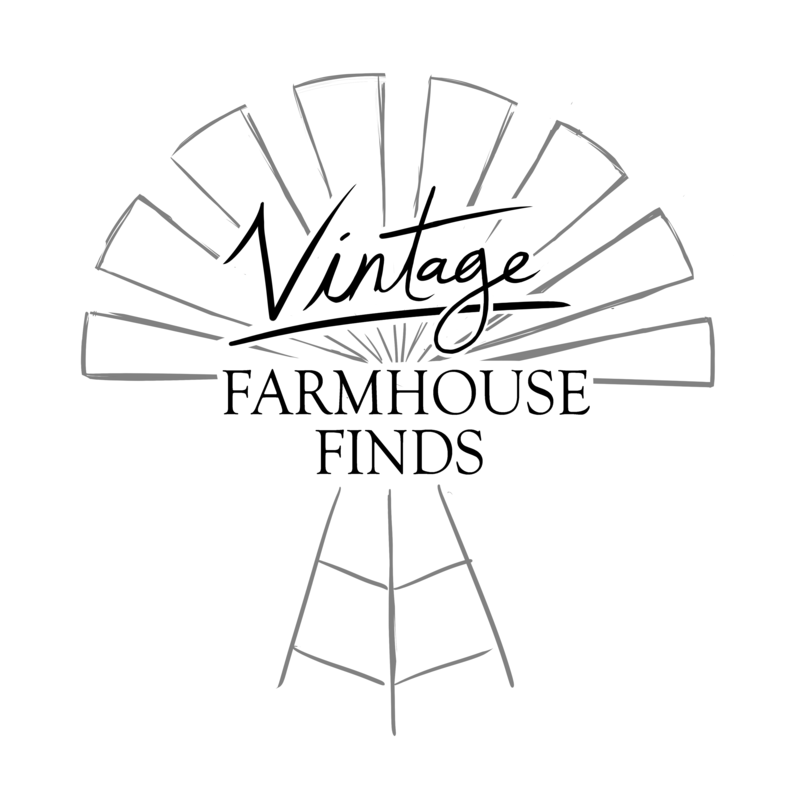 Check it out over at Salvage Dior. And there are literally tons of awesome holiday projects made from Dollar Store supplies, but I thought I would shamlessly share my holiday village makeover from last Christmas. 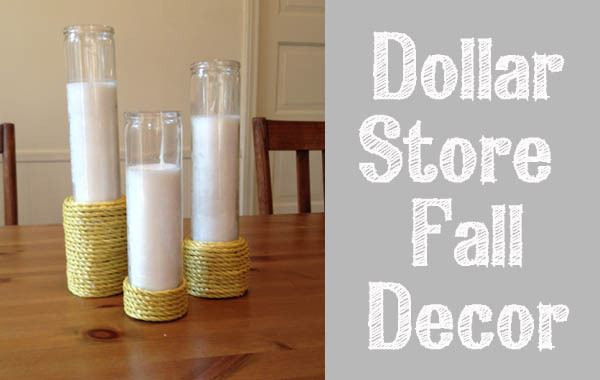 Have you used Dollar Store supplies in decorating? I would love to hear about it in the comments below. I’m wowed with the creativity of people! Thanks for sharing these Amy great ideas! Thanks, Kate! I’m glad you stopped by. Hi, popping over from Merry Monday Linky Party! 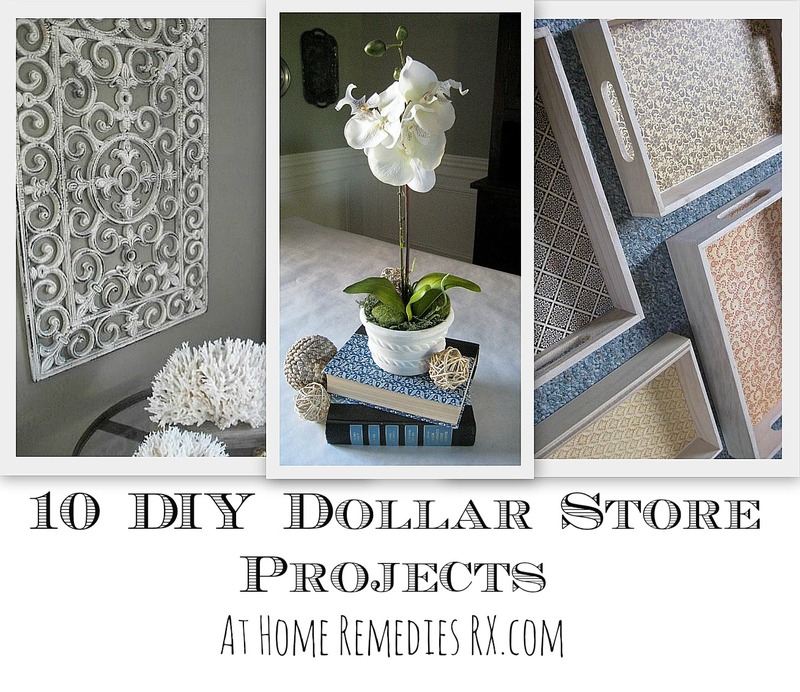 I love this roundup of dollar store projects. I decorated our home last Halloween with all dollar store items and it came out great. There’s so many things you can find there that work so well, thanks for sharing this! Pinning and sharing on my FB page today. These are great ideas! I love the Dollar Store, and I’m always finding things that have so much potential there! I love that painted mat on the wall as decor, so pretty! Thanks for sharing, visiting from Motivational Monday! Thank you for your kind comments, and for stopping by. Great idea for a theme. Look forward to more, including yours. I love the Dollar Store! Great ideas-thank you so much for sharing! Shut the front door! These are great! I just wish the dollar stores in my town had some decent things to work with. Thanks for sharing on Work It Wednesday! You never really know what you will find at the Dollar Store – sometimes nothing, other times JACKPOT. I’m glad you enjoyed these projects! Thank you for stopping by! Those are all great ideas!!!! I haven’t done any Dollar Store crafting recently, but my husband and I did order some of our wedding reception decor from their website. They have a great selection of vases! I agree, Brita, the online wedding selection is pretty sweet – plenty of great deals to be found! Thanks so much for visiting! Hi Amy! 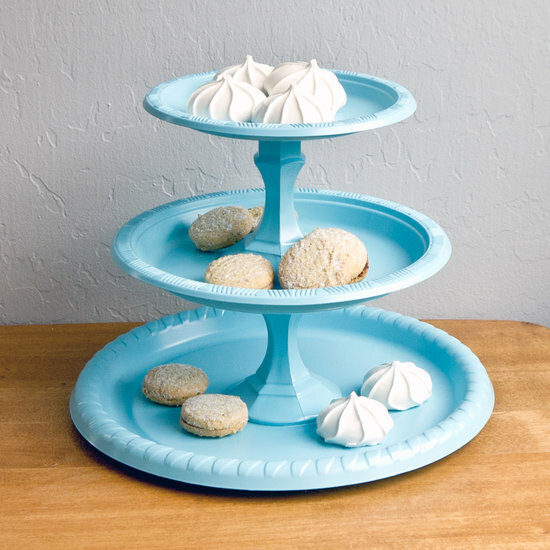 Thanks for sharing these great and inexpensive ideas from Dollar Store items. I pity people behind me in line at Dollar Tree…I always find waaaaay more to buy than I went in for. 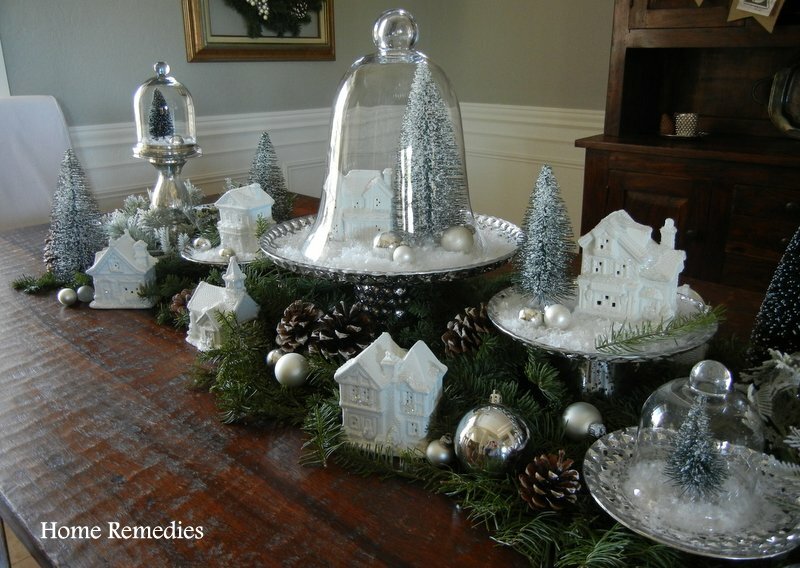 I love your Christmas vignette! 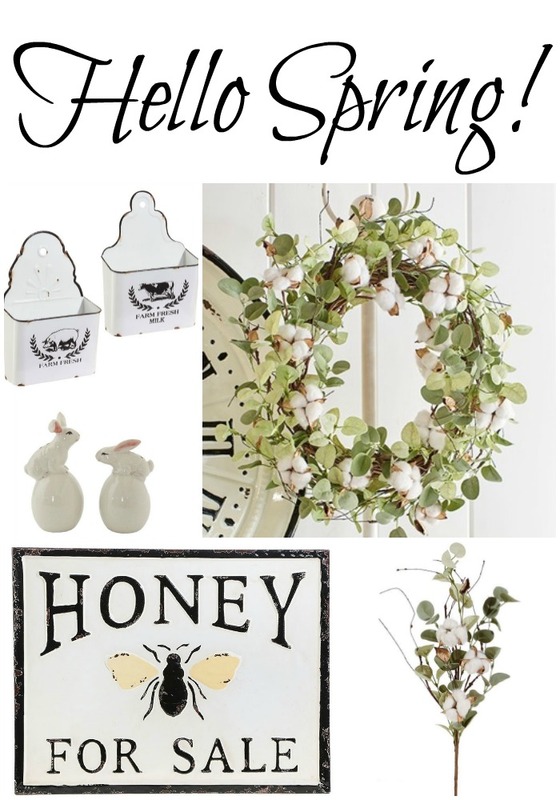 I have made similar ones with Dollar Tree items…aren’t they great!? 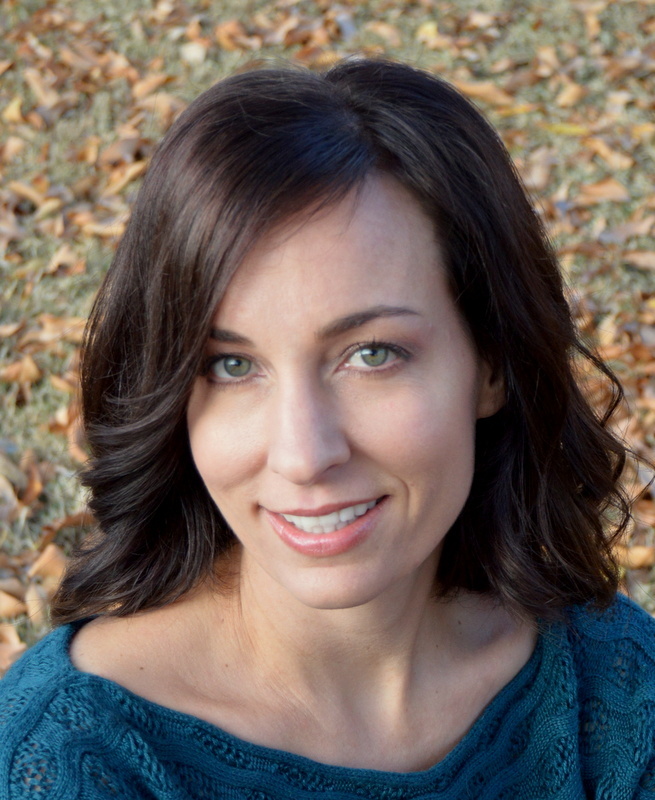 I saw your post over at “Imparting Grace” blog party. So glad you stopped by! I usually leave the Dollar Store with more than I went in for, too. So hard to resist knick-knacks when they only cost a buck! Love all of these fun ideas! Thanks for sharing with us at Your Designs This Time! You bet; thank you for hosting! Stop by grab your badge and link up again!